Known as the sweetest of all citrus fruits, the red mandarin from the Citrus reticulata tree is usually peeled and eaten whole or used in salads and desserts, but its rind also contains a wonderfully unique essential oil. Although it is similar to the tangerine—in fact, mandarins are often referred to as tangerines interchangeably in some parts of the world—the fruit and the essential oil of Red Mandarin is quite unique in the citrus world. Whether experienced aromatically, topically, or internally, Red Mandarin essential oil can provide a multitude of benefits. The biological and physiological activity of essential oils comes down to their chemistry. 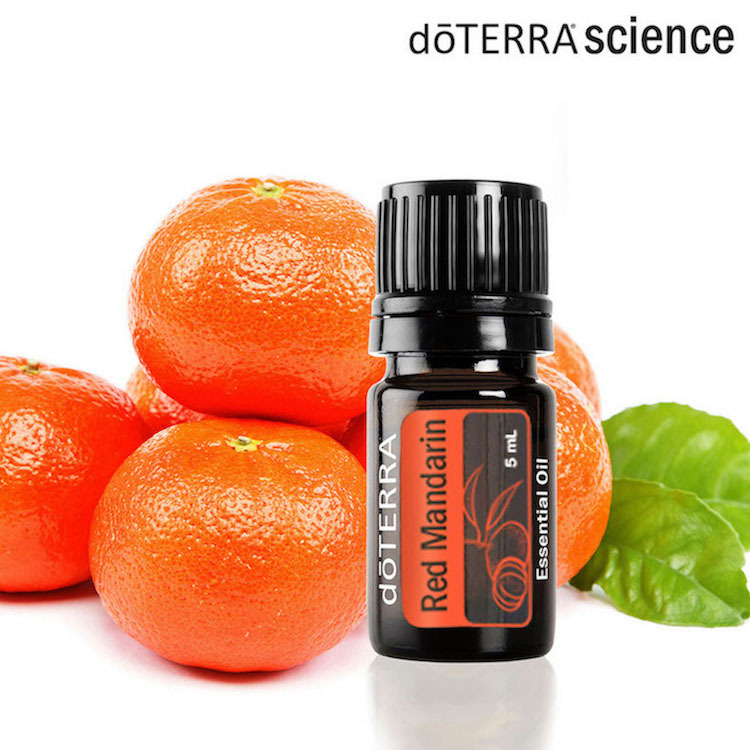 Red Mandarin’s composition is much like most other citrus oils in its high concentration of limonene, but there are a few twists. Depending on harvesting conditions, approximately 65% to 75% of Red Mandarin’s composition is the cleansing and uplifting monoterpene known as limonene, but it is also rich in an aromatic compound often associated with Cumin, Black Pepper, and Ginger essential oils: gamma-Terpinene (up to 14%). Research has shown that gamma-Terpinene may have cleansing properties. The concentration of gamma-Terpinene adds to the already potent surface and skin-cleansing abilities of limonene. Whether you are looking for a mild skin toner and clarifier, a great addition to your DIY all-purpose cleaner, or something a little different that can uplift your mood when diffused, Red Mandarin is a great choice. Relax your mind with red mandarin. Add a few drops of red mandarin oil to your diffuser and sit next to your diffuser with your eyes closed for about 10 minutes. Continue to sit quietly or read a book as you inhale the aroma and allow it to calm and create stillness in your mind. Massage 2 drops of red mandarin with 1/2 tsp coconut oil (or your choice of carrier oil) into your shoulders, neck and the bottom of your feet. Make a small inhaler to carry on the go when you start having stressful thoughts or feelings. Slowly inhale the aroma to calm your mind and thoughts. At bedtime, massage 2 drops of red mandarin with 1/2 tsp coconut oil (or your choice of carrier oil) into your shoulders, neck and the bottom of your feet. Then add a few drops of red mandarin to your diffuser next to you. This will help ease your mind of any unwanted thoughts and help you sleep soundly through out the night. You can use this for your children as well if they have trouble sleeping restfully. Red mandarin essential oil can be used internally to help with some discomfort felt in the digestive system. You can add 1 drop to your water or add 1-2 drops to an empty veggie capsule. *Make sure you get high quality red mandarin essential oil for ingestion, such as doTERRA. For babies with gassy tummys, mix 1 drop of oil with 1 tablespoon of carrier oil and light massage the tummy with a small amount of oil every few hours. Fill with fractionated coconut oil. Apply on your abdomen and massage in every few hours as needed for digestive concerns.